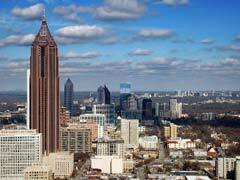 Georgia is a state unlike any other and as its tagline suggests it will always be on your mind as it faithfully combines the history of the nation with spectacular scenery, friendly southern people and busting cities. No Georgia vacation is complete without a visit to the capital city of Atlanta, the host city of the 1996 Summer Olympic Games. Here visitors can check out the Legoland Discovery Center where you can build, ride on Lego contraptions, see miniland and enjoy construction challenges while taking in the many Lego displays. Stone Mountain Park is one of the largest and most popular tourist attractions for travelers to Georgia, and is located near Atlanta. 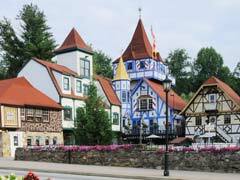 This 3,200 acre park shows movies on the mountains, has laser shows, hiking trails, paddlewheel boat rides, scenic railroad rides and the largest relief sculpture in the world. Carved into 3 acres of rock are the likenesses of Jefferson Davis Robert E. Lee and Stonewall Jackson, all historic figures from the Confederate side of the American Civil War. Coca-Cola was born in Atlanta and was at first created for medicinal purposes. Today it is one of the most recognizable products in the world, and travelers to Georgia can visit the World of Coca-Cola for the history of the drink, the vault that holds the 125 year old secret recipe and to see artifacts as well as receive a commemorative classic bottle of the popular beverage. The neighbor attraction, Georgia Aquarium, is the largest aquarium in the world and home to 100,000 sea creatures including world’s largest fish, whale shark, and another reason to visit Atlanta. Your Georgia vacation continues in the city of Savannah, where the historic district awaits with its tree lined streets and many squares and the historic cobblestoned River Street. Lafayette Square adjacent to the cathedral of St. John the Baptist and Wright Square with its monument to railroad tycoon W.W. Gordon are just two such squares amid the downtown core with its historic homes, shops and museums. 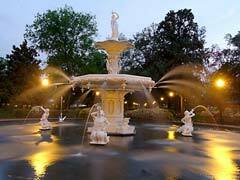 Savannah has recently been named America’s most Haunted City and as such, travelers to Georgia can take part in numerous ‘6th Sense’ tours and cemetery tours that showcase the paranormal history that dates back to pre-Colonial times and endures to this day. Visit haunted houses, museums, graveyards and side roads that are full of sinister tales that make for a haunting good time. Located on the Atlantic, Savannah is also the gateway to the barrier islands that are arranged along the coast. The largest of these is Cumberland Island with 17 miles of secluded beaches, scores of wild horses, and a complex ecosystem that combines marshlands on one side with the waters of the Atlantic on the other. Travelers to Georgia can take in the McIntosh sugar mill ruins on the island that are believed to be from the 1820’s or simply hike the many trails or soak up the rays on the golden beaches. Tybee Island is home to the Tybee Museum which is located in an 1898 coastal artillery battery. Here you can see artifacts and historical exhibits from Colonial times through to World War II. The Tybee lighthouse is located at Ft. Screven and has 178 steps to its top and scenic views. First built in 1736 it has been destroyed by a storm, rebuilt, almost totally destroyed in the Civil War and again rebuilt and moved back to further protect it from the tides. A Georgia vacation that includes St. Simons Island allows the tourist to bask on the many beaches, golf, visit the numerous spas or take to the waters on charter fishing trips, sailing trips or tours on a kayak or canoe. Biking trails and many places to hike round out this island getaway just a short trip from the mainland. A Georgia travel guide must also include the vast Chattahoochee National Forest, located in the northern part of the state. The forest is home to the Track Rock Petroglyphs, which is where history is carved into the stone in a gap between Thunderstruck Mountain and Buzzard Roost Ridge. The famous Appalachian Trail starts in the park and it is also home to Anna Ruby Falls, a twin waterfall where two creeks empty into the waters 153 feet below, making for fantastic photo opportunities amid the natural splendor. The town of Helen is located in the Blue Ridge Mountains on the Chattahoochee River near the falls, and is an alpine village re-creation that offers travelers to Georgia the pretty village as well as hot air balloon rides, mini golf, horseback riding tours and the fun of tubing down the river and floating through the town. Helen is also the birthplace of the Cabbage Patch Kids, and visitors can see where the craze started in the museum as well as see dolls being made in the ‘hospital’. The heart of Southern Georgia belongs to Valdosta, home of the Wild Adventures Theme Park which incorporates an amusement park, animal park and water park into one fun family day out. It is also home to the Grand Bay Wildlife Center, where visitors can walk on the boardwalk amid the Cypress Swamp, spot wildlife; take to the sightseeing towers and commune with nature. A Georgia vacation will leave you with many wonderful memories and will be forever on your mind…until you meet again.